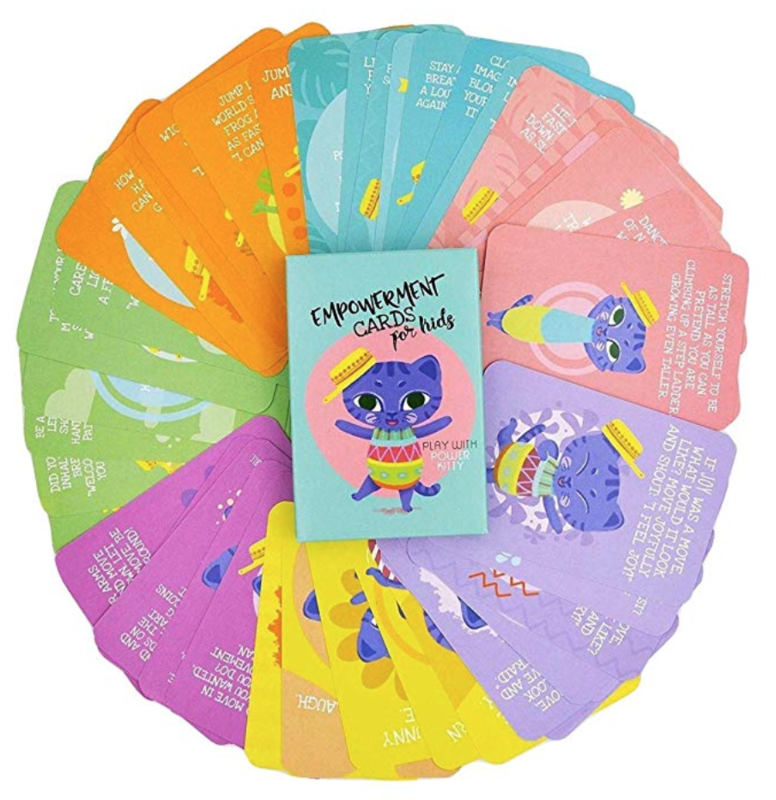 – The cards have seven different themes: Self-esteem, self-compassion, relaxation, body awareness, feelings, fun and dreams. 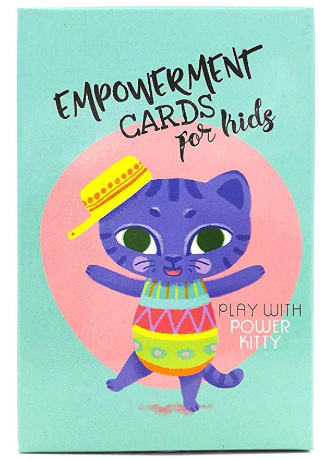 – The Empowerment Cards For Kids can be used in play groups, kindergartens and schools. 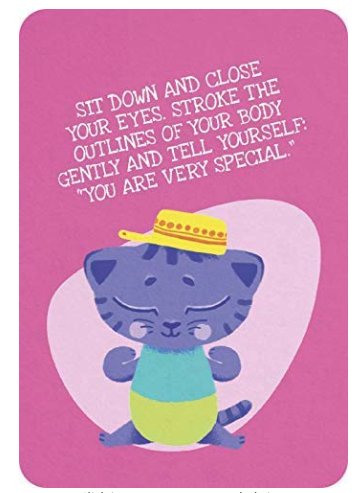 At home, the cards can be used by the child or with a parent. – Shuffle the cards and pick one from the deck. 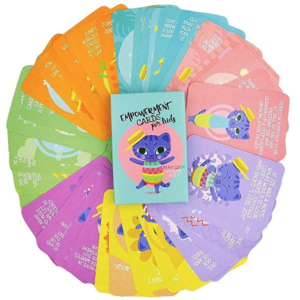 You can also pick one card in every color or from a specific theme. 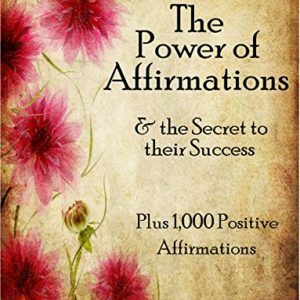 – The exercises with Power Kitty will help children to believe in their inner power and trust their bodies. They will make him or her feel extra special and gifted and like super heroes at play!